Copperbelt Minister Bowman Lusambo says Roan PF member of parliament Chishimba Kambwili should stop behaving like a mad dog. And Lusambo says if there are thieves in Zambia, Kambwili is one of them. Speaking on Let the People Talk programme on Radio Phoenix on Friday , Lusambo pledged to release a detrimental dossier against Kambwili. “We know information about Kambwili and very soon, just give me time; we’ll release Kambwili’s activities on the Copperbelt Province and the people of Zambia will judge now who is corrupt between Kambwili and the people he is accusing. We want to ask him all the questions – how he managed to do the activities, which he is doing. Lusambo,one of the richest thieves in Zambia, asked. He asked Zambians to start differentiating between leaders and jokers. 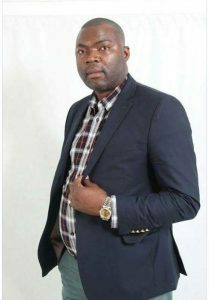 “Kambwili is just doing jokes; there is nothing that the people of Zambia can take seriously about Kambwili,” Lusambo trued to speak on behalf of Zambians. He further called Kambwili, a former information minister and chief government spokesperson, a mere noisemaker. “I can assure you that Kambwili is nothing but a noisemaker! Noisemakers are attention-seekers and Kambwili wants to attract attention of the people of Zambia but the people of Zambia know Kambwili of yesterday [and] they know Kambwili of today. And nga twalikwata bakabwalala muchalo (if we have thieves in this country), Kambwili is one of those thieves. I’m challenging Kambwili to tell the people of Zambia where the Ndola-Luanshya railway line has gone,” Lusambo said. “Kambwili is just a human being like another person; he can’t boast that he is as clean as Dr Kaunda’s handkerchief. He is just fooling himself and he is an embarrassment to himself, to his soul and to his family. I want to assure Kambwili that he should not think that when people are quiet then they are afraid of him! We are not afraid of you, Kambwili, and the punch for punch which you have declared between you and His Excellency Edgar Chagwa Lungu, you are just wasting your time,” explained Lusambo. Kambwili then phoned-in to refute some of Lusambo’s allegations. “…The railway line that you’ve been talking about that ‘Kambwili stole the railway line’, when the railway line was stolen, I was living in England; I was not on the Copperbelt. “That chap on the radio is a lunatic! Let me say this; where I come from, uwawa tabula akabepesho. Since that chap, Bowman Lusambo has got a dossier against me, I challenge him that I can pay for a radio programme for him this afternoon to read all the things…and go and report to the police, go to the Anti-Corruption Commission. I’m raising specific issues. The former information minister on Thursday held a press briefing to denounce the government and exposing ways it was allegedly laundering money obtained from contracts. He alleged that President Lungu was systematically involved “in all the corruption” currently emerging in the government. “I have said and I want to repeat that I will not relent, I will not stop talking until the unprecedented theft and corruption that we have seen in this government comes to an end. I’m extremely disappointed that the Head of State, who is supposed to offer leadership, is the one to defend his ministers that people are plotting against his ministers by making unsubstantiated allegations. I still insist that this issue of the fire engines and the issue of the Ndola dual carriageway will never rest until a proper inquiry is done and people are brought to book. Nganine (if it were me), I would have even stopped appearing in public kunsoni (because of shame) but bakabolala balipama (thieves are insolent)…When you have a government which has bakabolala ababula insoni (which has shameless thieves)… the onus is on the people of Zambia to say enough is enough! You don’t have to wait for 2021 – you can tell them now that enough is enough,” Kambwili said. He reminded President Lungu of what he said in the US about investigations into the US$42 million fire tender and that he didn’t know anything about the procurement of fire-fighting equipment. “The question that you and I must ask ourselves is what has he done from the time that he came back from America that will show all the Zambians and the international community that he is serious about investigations into the issue of the fire tenders?” Kambwili asked. He further asked what sort of evidence the President was looking for to know that there was corruption under his superintendence. The rails apart from the wooden sleepers were taken to Chipata to build the Mchinji-Chipata railway line.Some rails were removed from the Mokambo- Mufulira railway line by Zambia Railways and these were also taken for Mchinji-Chipata railway project. From one barking DOG to another. From one richest thief in Zambia to another. When lusambo is looking at himself in the mirror, all he sees is a reflection of kambwili and vice versa. So lusambo if you really do have that dossier, then just go ahead and release it. Why dilly-dally or warn kambwili? kambwili discloses information all the time without warning anyone. Is it coz you know kambwili has more on you than you do of him? Ati ba minister…just useless crap. If Kamwbili is a thief, why havent you arrested him? Is it because you are just defending you sudden increase in your net worth from a nobody to a billionaire? Lusambo needs to be advised not to release such a dossier. Mind you CK only wants attention easy publicity If you release what you are threatening, this circus will never end. Yes it hurts but, Let by Gones be by Gones.